In October 1993 news broke about an arms deal that led to the biggest development aid scandal in British history. It became known as the Pergau Dam Affair. In October 1993 news broke about an arms deal with Malaysia that led to the biggest development aid scandal in British history. It became known as the Pergau Dam Affair. Tim Mansel has been speaking to Tim Lankester, a British civil servant, who found himself caught up in the aid deal. Photo: Roger Briottet, director of the World Development Movement, celebrates with supporters after their High Court victory. 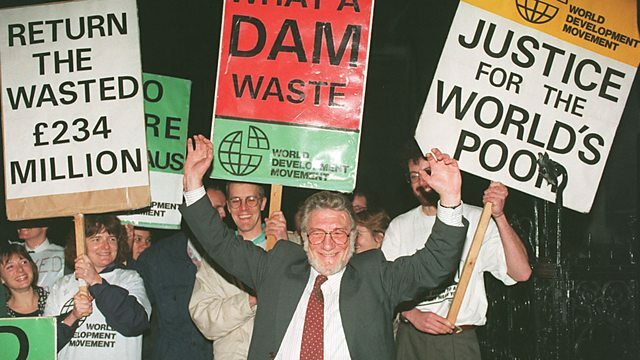 The organisation had challenged the right of Foreign Secretary Douglas Hurd to authorise £234 million in aid for the Pergau Dam Project. Credit: PA News/Sean Dempsey.